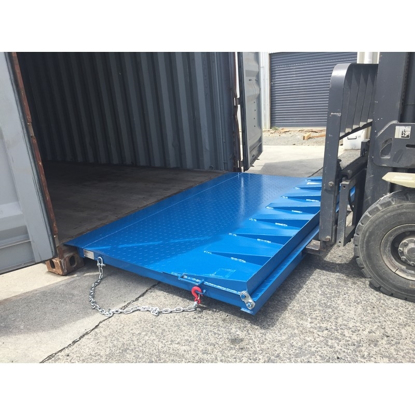 The Arrow 2-in-1 multi-functional container ramp is designed to work on all container types - both standard and refrigerated (reefer) containers. 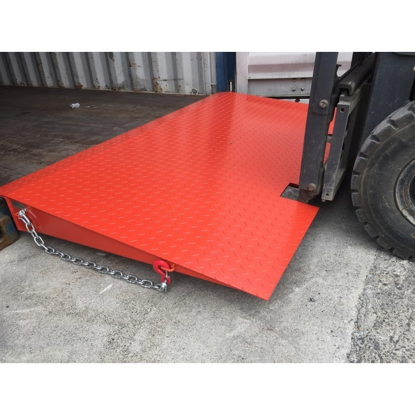 The extended length container ramp is designed for standard containers including high cube versions. The longer length allows for shallower entry into containers. The Arrow container ramp is designed for standard containers including 40ft and 20ft as well as high cube versions. 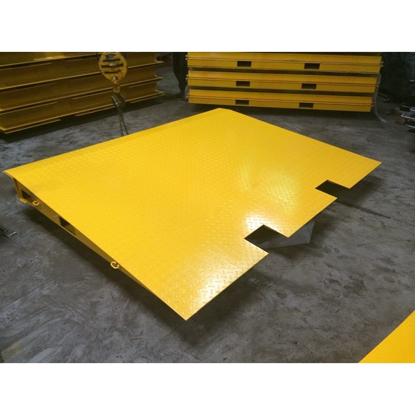 It is certified to 8 tonnes and includes anti-slip safety chains for added safety.